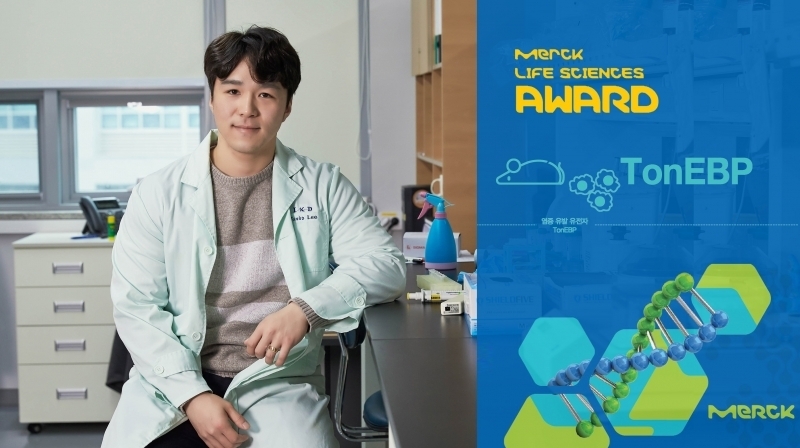 Jun Ho Lee, a doctroral student in Life Sciences at UNIST, named a recipient of Merck’s 2018 Life Science Awards. Jun Ho Lee, a doctroral student in Life Sciences at UNIST, named a recipient of 2018 Life Science Awards. 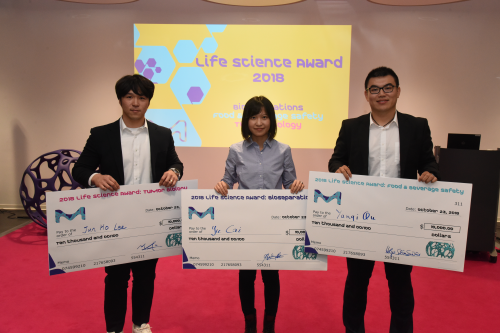 Jun Ho Lee, a doctroral student in Life Sciences at UNIST, has been named as a recipient of Merck’s 2018 Life Science Awards in Tumor Biology, receiving the grand prize of $10,000. This award has been given to Jun Ho Lee in recognition of his exceptional research work and advances in cancer applications, specifically relating to enhancing the understanding of hepatocellular carcinoma. Besides, this is the first time in Asian history that a student from South Korea has been honored with the grand prize of 2018 Merck Life Science Awards. Since launching in 2016, this international awards competition aims to recognize postgraduate students from universities from across the globe who have demonstrated outstanding achievement, skill and commitment to excellence in the life science field through innovative, cutting-edge research. This year’s Life Science Awards were presented in three categories: bioseparations, food & beverage safety, and tumor biology. Winning projects in each category were chosen based on level of innovation, impact on the industry, scientific rigor and communication. Jun Ho Lee entered UNIST in 2010 and joined Professor Hyug Moo Kwon’s lab in his second year. There, he has demonstrated strong research and analytical skills through the study of significantly higher TonEBP expression in patients with liver cancer. 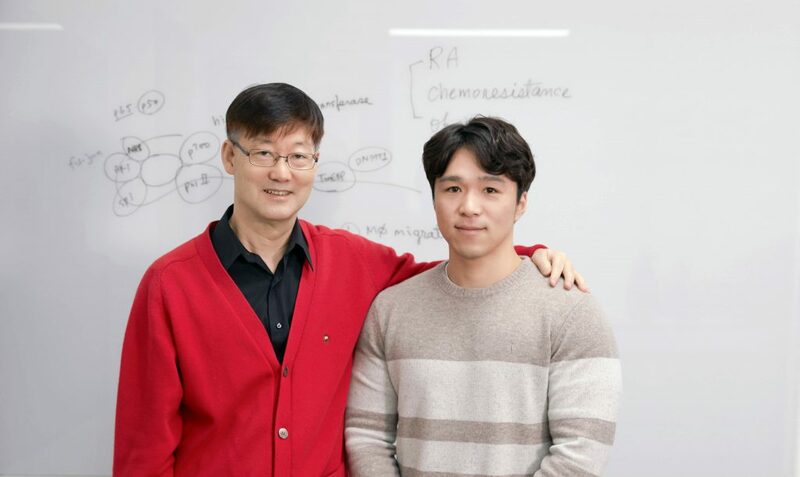 Jun Ho Lee (right) and his advisor Professor Hyug Moo Kwon (left) in the School of Life Sciences at UNIST. Jun Ho Lee entered UNIST in 2010 and joined Professor Hyug Moo Kwon’s lab in his second year. There, he has demonstrated strong research and analytical skills through the study on the function TonEBP in hepatocellular carcinoma (HCC). 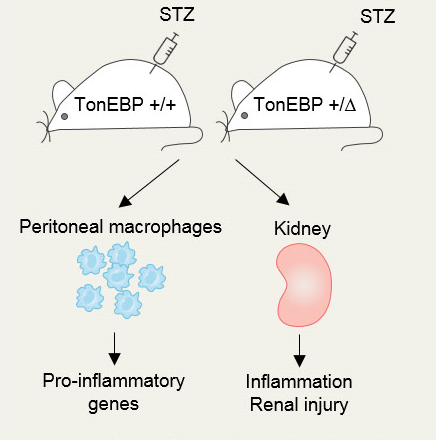 Tonicity-responsive Enhancer-Binding Protein (TonEBP) contributes to the regulation of urine and induces inflammation to fight off infections, caused by virus or bacteria. A recent study by Jun Ho Lee demonstrated that TonEBP expression was higher in tumors than in adjacent non-tumor tissues in 92.6% of patients with HCC regardless of aetiology associated. 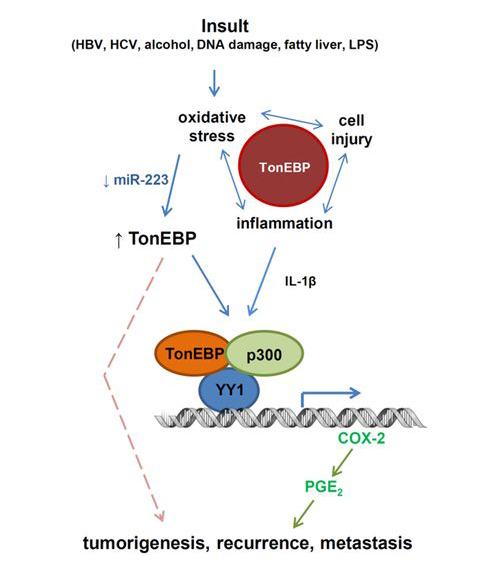 In addition, the study also unveiled other proteins that affect TonEBP in the progression of HCC. 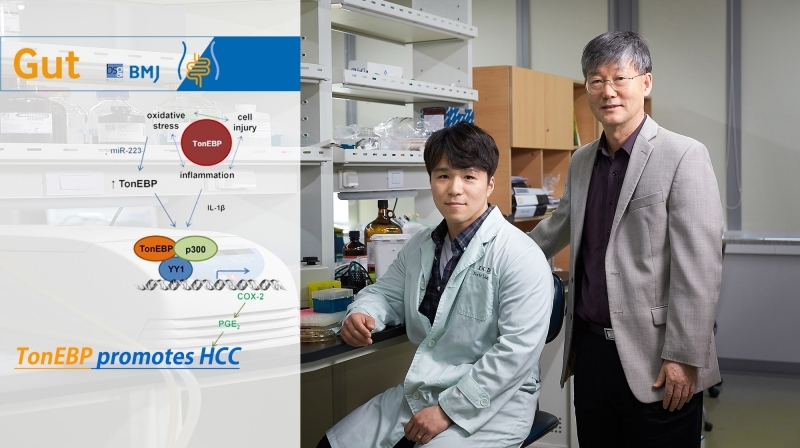 “Through the observation of TonEBP expression, we may be able to predict the prognosis of HCC patients and find ways to prevent recurrence and metastasis of liver cancer,” says Jun Ho Lee. 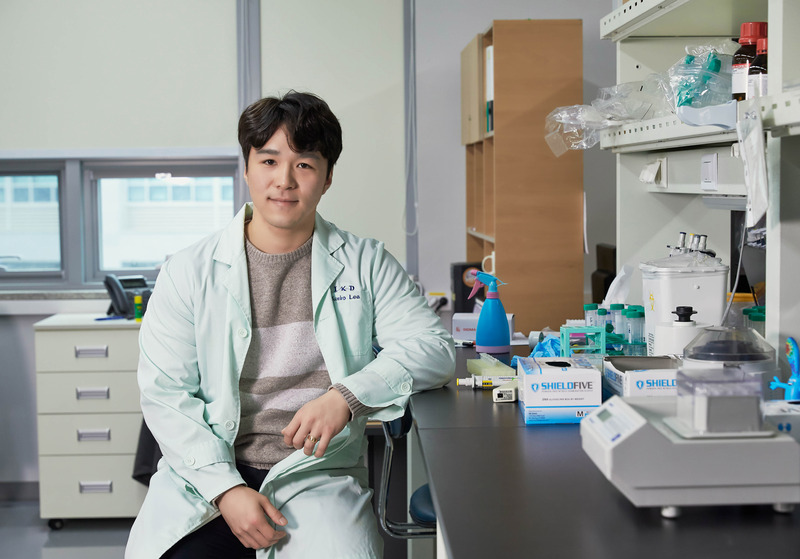 Jun Ho Lee hopes to further study the process of cancer development, as well as the biological phenomena, involving recurrence and metastasis. He believes that the cure for everything largely depends on finding the most basic and intrinsic part of the matter. Therefore, finding the root cause of the matter is important in finding cures for diseases that are incurable. 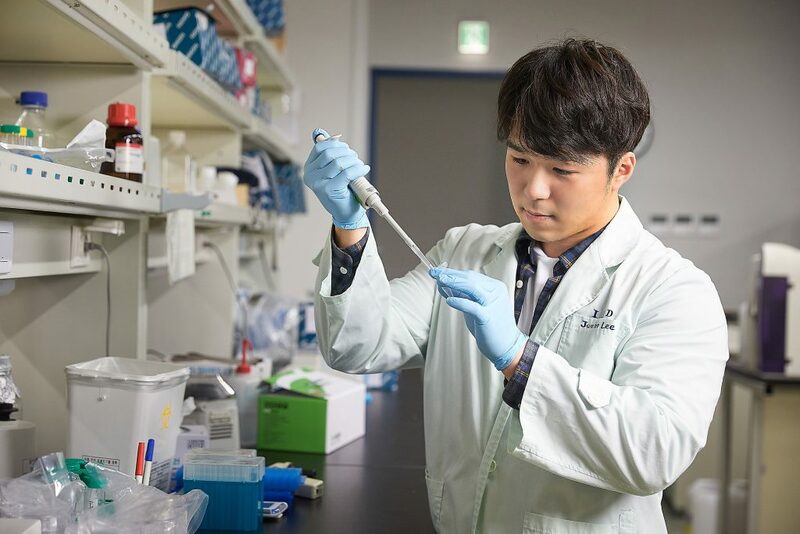 Jun Ho Lee, a doctroral student in Life Sciences at UNIST, is working in his lab, located on 5F of Engineering Bldg. (110) at UNIST. The Merck Group, branded and commonly known as Merck, is celebrating its 350th anniversary, this year. Founded in Germany in 1668, the world’s oldest pharmaceutical and chemicals business has evolved into a science and technology company in healthcare, life sciences and performance materials. As part of the 2018 Life Science Awards, twelve finalists presented their research to an audience of Merck scientists and guests at the awards ceremony, held at the company’s global headquarters in Darmstadt, Germany.